← Mkhi-Sanchez Player-Swap of Decade, Xhaka DM after all, Jack too Conservative? 8 Observations. The K before the H should have been the clue… It’s this guy, Henrikh Mkhitaryan. The dream of simple solutions to complex problems seems endemic to the Goonersphere. It all starts with “Wenger Out,” of course, as if lopping off the head will somehow cause the body to flourish. At various points in Arsene Wenger’s disappointing “second decade” (now stretching into a disappointing dozen seasons) the issue of austerity–the fact that Arsenal has not been willing to spend at the levels of the money-down-a-hole–clubs has been used as an excuse for lowered expectations. Wenger delivering Champions League football and “lesser” trophies (three out of the last four FA cups) has been seen as too little and too late. If only we could rid ourselves of our figurehead (somehow) Arsenal would simply float back up to the heights where we belong. So, “Spend some Money” is simple solution number two. If only it were so easy maybe Manchester United, luring Alexis Sanchez with a club record salary–and exchanging him for “failed” Henrikh Mkhitaryan–would have seen off Sevilla in the recently completed Champions League Round of 16. Oops. That being said, Arsenal ARE starting to spend some money. Mhki’s salary, in line with other new signings and contracts, most notably Mesut Ozil’s huge new package, might suggest that there could be some reasons for Gooners to hold out just a bit more hope that we’re in it to win it…Or at least that we haven’t quite given up on the “race to the bottom” (Ivan Gazidis’ famous term) when it comes to improving the team by way of spending. A 3rd simple solution is the search for a Patrick Vieira-esque “Beast of a Defensive Midfielder.” So many names have been mooted down the years. If you were big (and of African descent) and played in anybody’s midfield (and could maybe get around the pitch a bit better than Alexandre Song–or be able to stay on it longer than Abou Diaby) a link to Arsenal was in the offing. William Carvalho is still at it at Sporting Lisbon but the “big” leagues have yet to grab him up. Victor Wanyama and Moussa Dembele have done well enough up the road at Spurs but aren’t seen by most as essential elements in that club’s great glory of these recent seasons and certainly aren’t known for their rampaging forward runs. And now, Paul Pogba, clearly a dominant athlete rounding into a footballer who commanded an English record transfer fee back to the club that rejected him, looks like he might be the “big Mkhi,” Jose Mourinho’s latest player who will take the blame when ManU’s manager won’t. In the rush to assign blame and find simple solutions to Arsenal’s troubles we often overlook our own misfortune. Calls go against us and cost us results and it’s our (well, Wenger’s) fault. Balls bounce off posts or opposing goal-keepers play blinders but the conclusion is always the same: That. We’re. Just. Not. Good. Enough (or at least that the manager isn’t). Important players–and ones who make their teammates better–go down to injury–career ending injuries, in fact–and, again, it’s more than just misfortune. There’s but one Santi Cazorla (as the song goes) but it’s management’s fault that we don’t have three more waiting in the wings. A real manager (like ME! !–Just look, my fantasy team is in the top Million!!!) would just buy a new Santi, why can’t Arsene? From my early scrutiny of his game at Arsenal, Henrikh Mkhitaryan, already 29, could be a Santi-esque player. He’s no Alexis, a player who firmly believes he is the very best when he steps onto the pitch and thus demands the ball and goes to great lengths to express his disappointment when he doesn’t receive it from his teammates–or when they let him down if they misuse it. Nope. Instead, like Santi before him, Mkhi will contribute by working with his teammates, taking his chances when they come to him but also being sure to work to make the team function better, taking passes when they present themselves and working with others to keep positioning and pitch balance as big a priority as individual shows of skill and bravado. It’s (very) early days, but nine matches as an Arsenal starter with two goals and five assists is not a bad statistical return. Moreover, with Mkhi on the pitch, our other midfielders–especially rear of the line guys like Granit Xhaka and Mohamed Elneny–look more confident undertaking their duties. Further forward, it’s just a different look. Instead of Alexis “standing and demanding” (the ball) with his individualistic body-language, Mhki looks to stay in constant motion, filling spaces and allowing others to take the ones he vacates. Again, however, it’s early days, and such a dynamic approach to the game will take time. His former teammate, Pierre-Emerick Aubamayang, perhaps has a leg up having played with Mkhitaryan at Borrusia Dortmund, while our other “heads-up” players, most notably, Mesut Ozil, already look enlivened by his presence on the pitch. It’s a work in progress, however, and hard to say if we’re a better team after the player switch. Naturally, I’d like to hear what others think. Our fearless leader (Total Arsenal) has labeled the Alexis-Mkhitaryan swap as the best of the decade he’s also noted that our new guy isn’t one who dives into 50-50 challenges. Personally, I don’t mind that sort of thing and if it was a 50-50 that ended Santi’s career, I’ll (retroactively) wish that our little guy had pulled out of it. Yes, we need to win those challenges but we also need to keep our best players on the pitch. As I hinted above, for better or worse, we aren’t stockpiling Santis (and Mhkis) and unlike Jose Mourinho, Arsene Wenger won’t want to pile players of such quality on a scrap-heap even if the average fan gets just as excited playing a similar blame game and going after the next exciting name in the transfer market. Surely, if you clicked on this headline hoping for a “new Santi” (from another club) you can’t be reading. If you are, please sign up and join us here at Bergkampesque. Welcome! To me, it’s too early to suggest that Alexis won’t do well enough at Manchester United. I’m betting that he gives his all to try and win the FA Cup this season–and give a beat down to Arsenal when his former club visit Old Trafford on 29 April. With the failure of another of his teams (Chile) to qualify for the World Cup, I expect him to hit the ground running when the PL season starts up in August and to pad out a decent enough goal/assist tally to see him through the next season. By contrast, Mhkitaryan will be trying to work in with his team–and, likely, as the turmoil at our club continues–new teammates–and maybe even a new manager. To me, team play–by team players–is a much more difficult craft, but one which, if done correctly, yields the greater rewards, both aesthetically and with points on the table. Like Santi before him, I have a hopeful feeling that Mkhi could be that sort of player. What say you, fine fellow Gooners? Team play > individual glory? Mkhi > Alexis? Mkhi = (or >) Santi. Or should we just stay with the familiar? Wenger Out, Buy, Buy, Buy and the pitch is always greener on the other side? Thanks for reading and tell us what you really think. More articles from you please . Excellent post, Seventeenho. I like the idea of Mkhi in the double DM pivot, next to Xhaka or Elneny, or possibly a Dembele-like midfield beast (since I saw him boss our midfield for Fulham at THoF I have said I would play him as our deepest DM if we could have him). I am hoping we will play Laca and Auba up-front with Ozil on the other side, or, ideally, behind them. Then we could have three out of Mkhi, Jack, Rambo, Xhaka, Elneny and AMN in the midfield three. From an attacking point of view that would look very good. But it is of course about balance and we have lost it so badly this season. Mkhi in a deeper role in midfield, could be the start of getting back that balance. But who to play next to him? Thanks 17HT enjoyed the read and Santi is indeed missed. I may be wrong but when Le Coq was recalled from his loan at Charlton, he was put together with Arteta and they did pretty well together. Not taking anything away from Santi, but Le Coq truly was a defensive midfielder. Actually I should have said great post up until the last sentence. I am just repeating what I have said before. Sooner or later we all get a bit older and we don’t perform quite to the same level as we did before. Whilst Spurs as you mentioned have aquired a whole bunch of tough tacking midfielders, in my opinion Wenger continues to try to buy more artistic type players Ozil , Mhky etc, whilst undoubtably more talented players, the likes of Wanyama and Djembele will out power them 9 times out of 10. Hence the need for a change IMO. I will never protest, boo etc . But unless something changes we will intend to meander along. I believe we need a change of direction. I have little doubt this will cause initial pain, but for the long term benefit of the team a change is needed. As was mentioned above– ‘more please sir’. To attempt to emulate the Caz-Coq DM double-pivot– whom would you pair Mkhi with? Can be in– or not yet in– the club currently. TA/JW, I’m really not trying to say that Mkhi should play in a DM pivot and literally replace Santi. Retsub, agreed about Arteta–he was another who used the skills and intelligence he had to help his teammates (i.e., Le Coq) be better. On that count I agree. With your other assessments, notably (and to paraphrase you, which I know you love…) that our MF (and defending) is the problem yet we buy attackers so Wenger’s lost the plot…and that we gotta get big tacklers in MF, I say wrong on both counts. For me, losing Alexis = a (big) need for goals while we’ve also lost Giroud who scored a few of his own even if he never came close to replicating the goals of the guy we had hoped he might replace, RvP. For me, big tacklers while inspiring = more pens conceded and are a dying breed. Xhaka left his feet A LOT his first season and now plays more for position. He’s not a massive athlete but he can orchestrate from there and help push play out wide (where we have, IMO, some pretty damn good FBs…) AMN might be one rounding into a guy who could be first to tight 50-50s… If others, including Rambo, Mkhi, Elneny and Ozil (dropping from a more forward position) can help Xhaka and AMN out, our MF looks OK to me. (You’ll perhaps notice a name I’ve left off that list…sorry…) Up front it’s gotta be about team goals. Auba looks a big upgrade to Theo and Lacazette is likely to get more goals as he won’t have Alexis trying to take the ball from him. They can play together when we need goals, for sure (TA) but we can also work them in as lone #9’s in games when not losing might be the priority. As nicely as we played over two legs vs Milan, I think we’ll look a whole lot better with Welbeck trying to push those two rather than as a guy we’re counting upon… And, even then, I would look to keep buying exciting young striker types, you know, just so we’ve got more easy answers at the ready for the fantasy football types. True enough too that Cazorla wasn’t first thought to be MF distributor– but became ‘the one’. And I’d had that thought about Mkhi as soon as the swap with MU was announced. That dependent upon whom else the Svenraulivans are sizing up in attack– Mkhi could end up in that role. And funny you mentioned him retsub– because the times I”d seen Steven Nzonzi play (previously at Stoke too)– I’ve felt he’d make a good DM partner in the Coquelin role. He absolutely controlled two-thirds vs MU and moved the ball forward the ball with cool efficiency. Wow.. what a rukus here while I was asleep. Mostly good ones. 17ht, i watched the Gunners since 1996 or 1998.. and the TV era meant that the beautiful football can be watched by people all over the world. My definition of “plastic fans” is one that only craves for wins and silverware.. anything less and losses will mean disaster. PE put it very nicely for me in the last post. Thanks PE. I will read your monster post in a while and post comments regarding that. Good post. In difficult times like this, the real fan invests also on the near future. It keeps the flame of his hope burning. That’s holding tight to the team in times of tribulations. So it’s good talking about the great possibilities with Mkhi. Am happy with Mkhi. It is difficult to ever say the king is naked but there was a me that never embraced Sanchez when he was with us. That part of me couldn’t embrace selfishness. Mkhi is the opposite of that. So to me Mkhi > Sanchez always. Obviously Mkhi understands tactics and he has an impressive tackle numbers. These are two qualities that should make him thrieve in the central midfield areas. That said I like him as an attacking midfielder. He is best equipped amongst our attacking midfielders to brake the chain of our famed sterile possession mode of play. He has a more cultured aspect of that Sanchez’s trait of wanting it to happen as well as recognizing instantly when a half chance appears. Too many of our attacking players get caught in that possession stuff almost as an end by itself. What all these mean is that Mkhi is a versatile player in the mould of Arteta and Santi. That’s a bonus to the team. You must be referencing the real fan being the one that rides to hell and back with the team. Glad you noted it. There is a lot of fear in your comments re Wenger and his replacement, but I don’t get intimidated by it my friend. Don’t really get your first paragraph, though. Wenger was once very good and is still not bad, but the world of football has changed and the PL houses the very best managers. Our club deserves one of them and the fans, both plastic and non-plastic, are asking for a new adventure: a person who can do better than finishing fifth or sixth and get us fighting for the title again. Someone who is stronger tactically, can find the balance between defending and attacking, make us a force in away games again and get some consistency and real belief back in the team. Surely, Wenger is not able of this anymore? Fair enough re Mkhi not necessarily being a like for like replacement for Santi in terms of the position the Spaniard held when still fit. The big issue of balance is still the elephant in the room, though. Your line-up I like a lot, but we have to fit in their a fit Jack imo, and I expect Rambo to leave this summer (and possibly Jack too, sadly). Is the board going to break apart the old team and bring in new faces like what Citeh did? If it is then it is a shame to what the board has of Arsenal in mind. Maybe my words is a little harsh here on the board, but the remaining players like Rambo, Jacko and Kos should still be the spine of the team. Rambo will and must stay, and it remains to see how Jacko sees in his new contract on his table. Of course I read it PE. It is too clear and unmissable. In straddling the fence between the two outcomes– ‘in’ and ‘out’? Believing like all things, it’s a matter of time? Is there really any advantage to publicly state in advance when AW is stepping down– until the timing is just so? There’s none in giving the press any advance to take potshots at both AW and the club. A million or two words posted questioning when/who/why. The debilitating Cirque de Contracts of 2016-17 was quite the education. Enough to warn off the front office from giving the media any more red meat. Once Sanchez was dealt with, Ozil signed. Mkhi/Auba brought aboard– the only drama left was the club’s performance(s). As it should be. I’m still of the mind this is a timing thing– with regard to when AW steps down. There’s not going to be some ceremonious late-season dumping or head-on-a-pike (as much as the plasticine-types might hope). As the club hasn’t changed out managers in 2 decades-plus– there are no signals to know when that might be. And that– is the rub. Arsenal doesn’t leak news. Mentioned yesterday I support AW unflinchingly. I do. And when that the day arrives? I’ll tip my hat. And welcome the new boss. Absolutely right TA, football has changed and beyond our wildest dreams. It is as huge as you say and as a fan of many years standing, I love to hear the views of all our great fans from all over the world, their passion for Arsenal is as big as any Arsenal fan born in Islington or Hackney, but as fanatical as many of those fans abroad are, as for example in Nigeria where Arsenal are absolutely huge, most of those fans are never going to be in a position to travel to the Emirates and see a game and even if they are, only occasionally. The cost and time involved is simply too much. So you, as a club, ignores its core support at its peril…. to regularilly fill the stadium, it’s just not feasible, and a half empty stadium as we’ve seen recently, lessens the occasion, makes it less of a saleable product. So if you drive families away, to lower league clubs, who is gonna pick up the slack? Especially when things are not all beer and skittles. Nothing is forever Total, just ask Serie A….. So Kev, a question or two on tickets and the exchange? I’d read through the Arsenal web page and I still don’t fully get the gist. So, unless a match is sold out– tickets cannot be placed on the exchange– correct? Tickets must be transferred in name to another (or more) individual(s)? If I’m getting this– that can be a very small and restrictive window to sell tickets that might go unused. JW, I have no idea mate, I’ve never gone on the ticket exchange, my son has tried to sell his ticket from time to time, but had no success. An idea is to visit the stadium on match day, go to the Arsenal Supporters Club on St Thomas Road and see if they’ve got any tickets available. I used to do the away games through them and I know they often have tickets – at face value on occasions. You could also try ringing them, telling them that you’re visiting and if they can help, they’re brilliant people and will always go that extra mile. I used to know a guy who came over from Norway a few times a season and they always helped him and his son get tickets. More that I was trying to understand the ‘how-to’s’ that fans like yourself take on to see a match of a big club. Myself? I’d love to do so. I’ll hold out hope that it happens (before it’s too late)! Buying/giving away tickets to events here is a casual undertaking. Houston itself, there’s not much worry going to a game– any sport– and getting good-natured heckling for being ‘an away fan’. Now Philadelphia or New York OTOH– that’s a bit different atmosphere. But there aren’t ‘away sections’ at the professional level. A full and vociferous stadium is indeed very important for the club, Cab Kev. You could argue that as more and more money comes from global supporters (TV money especially), the stadium ticket prices should come down. It could well happen again. Getting the singing fans together and allow them to stand rather than sit, would also be a good move. The local element is still very important, I agree. I have been there a few times, Retsub, and yes the North Bank can be noisy. Mkh has a few technical things that resemble of Cazorla’s qualities – he can make a turn when he receives the ball, he is dominantly a right-footer but has technical quality in his other foot as well (not enough to compare him with Cazorla or Hleb who had been able to take set-pieces with either foot). Unlike Cazorla, he looks more equipped to make defensive actions (I’ve seen him making blocks and tackles since his arrival) but he is obviously more of attacker on the opponents’ goal than defender of his own. But even if we use Mkh as a central midfielder – which could solve our problem with the basic organisation of our attacks and speed up our game – we will concede goals until we find a midfielder who can protect the back four in a way Coquelin did (before his career was slowed down by diving into a 50-50 – live by the sword, die by the sword sort of thing – only a week before Cazorla got his career slowed down by a 50-50 clash of knees), never mind Gilberto, Vieira and Petit, human brick-walls in front of our back four. It’s difficult to find one on the market, mostly because teams want a defensive midfielder who is both a passer and a tackler. In theory, Xhaka was supposed to be one. I’m surprised that free agent Alex Song didn’t get a chance on a short-term contract (he was training with Arsenal) but I guess he is in such a mess that he can’t play even in our midfield. 17ht, i had a busy day yesterday too. Agreed that the easy solutions will lead to massive backlash later on, and i rather we use permanent solutions rather than stop-gap measures. However, i believe the club is resorting to stop-gap measures currently. Please shout out if i am wrong. We did well after a run of downtime, and I believe when everyone puts their head down and perform we will play consistently better. Admir, Song would not fit into our shape currently. And his lack of gametime is another no. So, better keep his fitness levels up and then we see which club wants him. Total, a safe standing section, behind the goals, would be a step in the right direction, I think Tottenham had a possible change in legislation in mind with the single tied bank behind one goal in their new stadium, maybe with a nod towards Dortmund. JW, tbh, if I can’t get a ticket, I’m content to watch it on the TV, same as the majority. If I was a young Dad again I’d probably introduce my boys into something like fishing or golf. 17tino was right the other day when he suggested that clubs could let fans in cheaply as they earn the majority of their dough from TV and sponsorship, but that ain’t gonna happen any time soon. Wow, what a post. Great stuff 17. I don’t see Miki as dynamic as Cazorla, and Santi had Coquelin sliding into opponents and winning balls or at least knocking them loose all over the pitch. But as someone, maybe TA, said recently, Xhaka has been better since staying deeper. I’ve only been calling for that for 2 full seasons as Wenger tried to make him a box to box who can’t get back in time to cover defensively. But its his distribution that makes him a talent. Still not a natural tackler, so I’ve been pining for Arteta lately. We didn’t appreciate him enough when we had him.His and Santi’s conversions, or adjustments made by Wenger were 2 amazing jobs by Arsene, and under-appreciated. You are on my track, nearly. Am referring to your “2 amazing jobs by Arsene” which were the conversion of Arteta and Santi, two attacking MF. Football has changed. TACKLING IS NO MORE AS CRITICAL AS IT USED TO BE. Brand new ideas are so difficult to accept. Even a perfectly functioning organ transplanted is reject vehemently by the recepient. It recognizes it as a foreign body and attacks it. Why are tacklers not longer that prime? 1) Football is a lot less of a contact spot. Chances are high on a tackle running foul of the referee’s whistle. Cards and brilliant dead ball specialists all over the place. 2) Tiki-taka. One touch passing football completely negates the strengths of tacklers. Tacklers need targets which one touch passing does not afford them. Right positioning is the thing. You’d remember how our best tackler Coq was yanked off at half time in one of our last two matches against Bayern a tiki-take side. Coq was just running around with no target to hone-in on. 3) Gengen pressing. Being a great passer of the ball in the defensive areas is now of great importance because of high press. That is the tool for beating the press. For reasons that must have to do with the way the brain functions good tacklers are hardly ever good passers (it’s almost like being ambidextrous). Santi was a very unique player. Ambidextrous, intelligent, technically amazing, nimble footed, visionary, were his qualities that gave the great tackler Coq relevance. Without Santi, Coq became a liability. The era of a beast of a DM is gone, unless there is a Santi besides him. Good luck to folks who are searching for another Santi. It’s on account. of the recognition of this evolution that there is now the more popular use of the word the holding midfielder (HM). The HM defines a role and not a skill set. The role is the occupation of the space in front of the back line. The skill set of the player could then be that of a DM, a deep lying playmaker, or whatever other skill set a coach might require there. Some fine comments by all. Distance makes the heart grow fonder. Santi and Arteta were decent enough in the centre of midfield but they lacked ‘the engine’ and had defensive limitations that were just about compensated by a) a quality defensive (minded) midfielder next to them (Le Coq and the highly underestimated Song) and b) the team sitting deeper and playing more compact. To stretch the team out and link it up we need an athletic B2B. On a good day, Rambo is that man for us, but unfortunately he is often injured and regularly out of form. Not one to count on. The question is whether Mkhi could be our nr1 B2B going forward. I have not seen enough of him to make that judgement but my gut feeling is no. I actually rate Elneny highly as our future B2B, as our nr2 for sure and possibly as our nr1. AMN is one for the future. I can see us replacing Rambo with a top notch B2B beast this summer. HM is indeed an accurate description, PE. That is what a deep laying Xhaka or Elneny is. 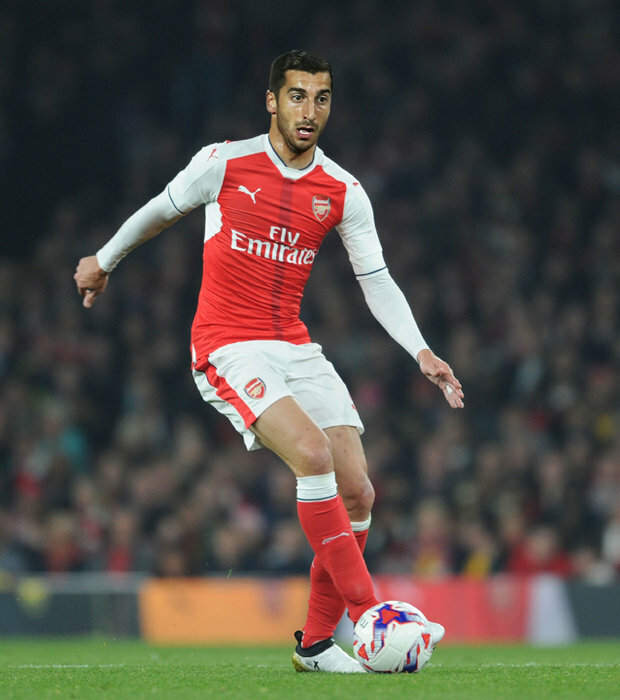 PE, I believe that Mkhi’s role as the replacement for Santi, as many would see it, is not a like for like swap. Both are good technically. Both are good with both legs. Both see chances beforehand and are good leaders on the pitch. However, I would see Mhki’s role as supporting Santi when Santi ventures upfield from the deep. More of a deep-lying playmaker, like Rambo, Jacko and of course, Santi himself. We have a pool of playmakers to choose from. Citeh, the world’s richest team in England, has less playmakers compared to us. So, if we can play well like what we did in the past 2 games, we should be good. The problem is consistency and the mentality that is hanging on a balance. Looking fwd to tonight’s Friendly in Amsterdam. The Dutch team will want to start with focus and energy and that will make the English players respond, I reckon. Shame Jackski is injured for this one. Quick note on those two (and others who might be looking for a way off the sinking ship called Arsenal)… Early Spring is a great time for using the media to work your fans into a frenzy and get the best possible contract for next season. Rambo “is linked” with a move to Chavs (and TA thinks he’s already gone?…) while Jack is putting out stories about AW telling him he’s excess to needs… Interestingly, both are now “injured” or “having a little procedure done.” Rate them as you like–and use their treatment as a(nother) reason to hate on management–but take these media-plants with a grain of salt…please…. 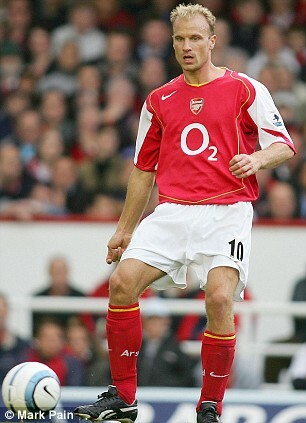 Shaggy’s losing in that one so do we really want him at Arsenal? Maybe I’ll work on my banner: Joachim MUST Walk!!! or maybe, How Low Must We Go!!!! But back to (one of) my themes… Russia lost at home to Brazil by a few goals… It’s only a friendly so (maybe?) no need to pay off the refs in that one… Seems like it’d be smart to win our home (1st) leg over CSKA by a bunch of goals…. I reckon Bouldie is excellent for holding the fort till mid-July. Low will need a year to turn the team into a quality one so it does not matter that he joins in July. He will bring with him a defender and a midfielder and we are good to go. Go away for a month of work, overseas in 3 places and come to find serious gloom. Hmm, my take on all things as I’m a professor and thus know all things, yes? B. Mhki and DM and defense. Well, IMO, leave him be.. I think we are largely solid there and will get better with cohesion and time. El Neny, AR and Xhaka provide a solid back three where El Neny and Xhaka are good at the outlet pass. Hey jgc, good to hear from you. Sounds like you need a break from the job! Which countries did you visit out of interest? The English national team looked pretty good yesterday. They kept the ball low and passed it around well, but just lacked bite up-front. With half-moon face up-top and one or two other in the team they should be able to grow into the tournament. The Dutch in contrast looked pretty poor and Koeman has a lot of work to do, but I reckon he will get there eventually. Apparently the Germany v Spain game was of a very high level, especially the second half. CHECK FOR A MAIL IN YOUR BOX.